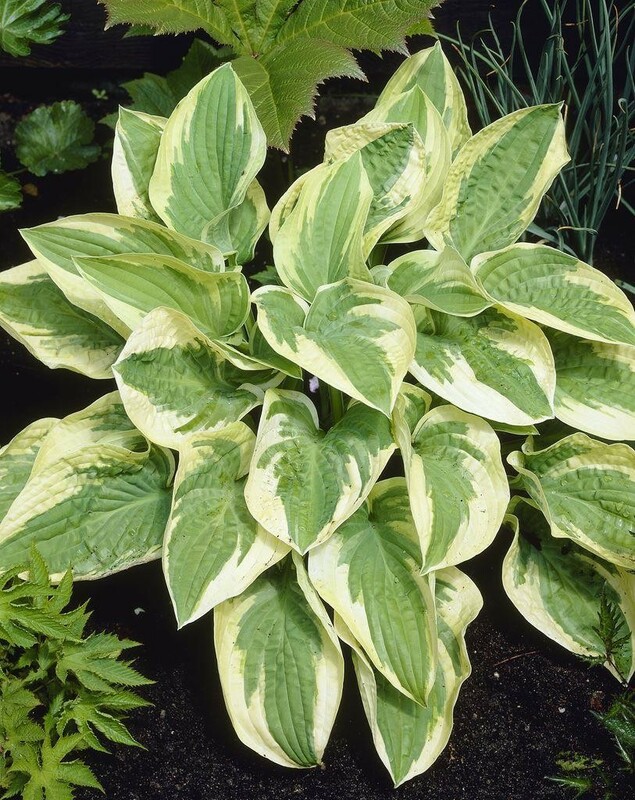 Nicely mounded leaves are dark green with wide, irregular margins of buttery yellow. 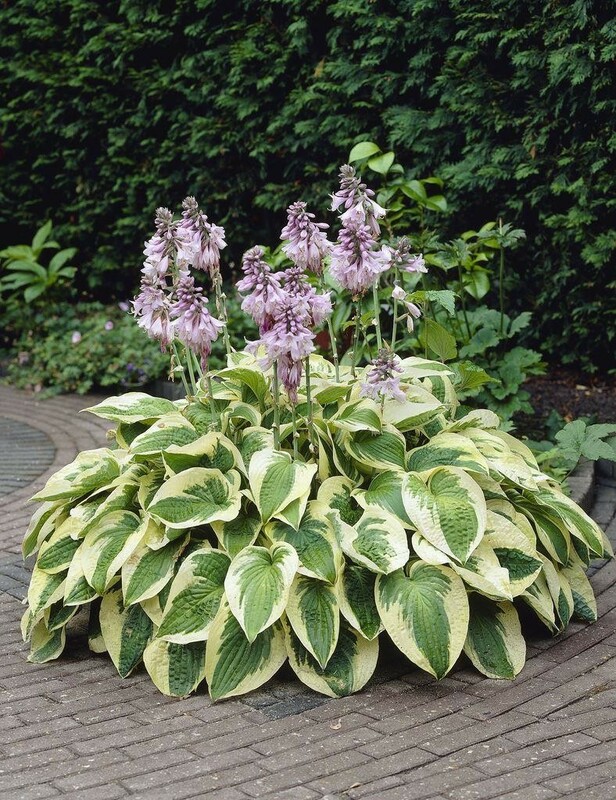 Attractive buds open to pale lavender flowers on 24'' scapes in mid to late summer. A real eye-catcher! Supplied in approx 2-3 litre containers.